In January 2017, an NBC news investigation found that an “epidemic” of opioid abuse had helped turn the once-prosperous city of Wilkes Barre, Pennsylvania, into “the most unhappy place in America.” Working in the epicenter of the “scourge” that had resulted in 137 fatal overdoses in a county of only 318,000 people in 2016, the coroner reported that opioid addiction was “eating away at the core of society.”1 Although an extreme example, Wilkes Barre’s unhappy experience is being repeated in communities throughout the United States, resulting in problems that you probably recognize—and a few that you may not be aware of. A related effect is threat to safety. From 1993 to 2010, the number of emergency department visits for drug overdose approximately tripled, from seven to 27 per 100,000 population.6 Although less commonly discussed, combining opioids and benzodiazepines (e.g., alprazolam, clonazepam) is particularly dangerous and increasingly common. From 2004 to 2011, emergency department visits and deaths involving this combination approximately tripled in volume.7 Less commonly discussed among benefits managers, but well known to law enforcement, is use of drugs by persons to whom they were not prescribed, known as “diversion,” often by theft.8-10 Additionally, people who use prescription opioids that become addicted, and can no longer afford them, commonly turn to heroin.9 All of these problems diminish both the well-being and productivity of employees, as well as quality of life in surrounding communities. How can an employer address these critically important problems? Here are some tips to help you get started. Measure, intervene, monitor. As with any benefits issue, the critically important first step is to determine the extent of the problem. Employers may analyze their own data or may choose to request the necessary reports from a pharmacy benefits manager (PBM) or vendor. In addition to standard measures, such as PMPY claims and expenditures, morphine-milligram equivalents (MMEs) are an important metric. MMEs translate the dosages for all opioid products into a morphine-equivalent value, making it easy to identify abusing enrollees using cut-offs provided by the U.S. Centers for Disease Control and Prevention (CDC).11 For example, 40 milligrams of oxycodone daily, times the MME multiplier of 1.5 for that drug, translates to 60 MMEs per day, which exceeds the 50 MME per day standard at which the risk of overdose is more than doubled.11 To obtain the MME calculators, visit the CDC website. Employers may wish to consider interventions, such as those that have been employed successfully by some payers and PBMs, with enrollees exceeding CDC MME standards.12-14 If possible, use of integrated medical-pharmacy data in making these assessments is highly recommended to avoid applying MME standards to patients for whom high daily doses of opioids may be medically necessary, such as those in hospice care. After implementing any initiatives, monitor results and, when necessary, make adjustments to metrics and algorithms so that the intended objectives are achieved. Consider quantity education and limits. 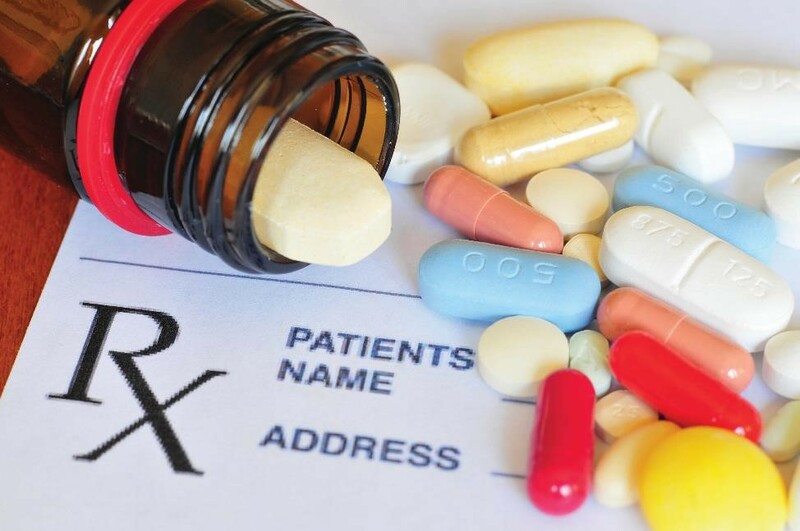 Although the causes of opioid abuse are multifaceted, experts agree that a key factor is opioid oversupply, often because excessive quantities are prescribed for minor surgeries.15-17 Unused medication often sits for long periods of time in medicine cabinets, becoming a prime target for theft.16 Employers may wish to educate prescribers about prudent quantity limits for relief of pain that is expected to be short-term (e.g., wisdom tooth removal for older adolescents). Additionally, limits on quantity dispensed per claim, especially for a first opioid prescription, are a common-sense step. Tell employees about “take-back” initiatives. Many communities offer “take-back” programs, which allow for the return of unused controlled substances on a “no-questions asked” basis. Monitoring and publishing the dates of these programs may help employees safely dispose of drug supply that may put them and others at risk. Don’t forget other controlled substances, especially benzodiazepines and stimulants. These drugs also pose risks and are subject to abuse. 1 Siemaszko C. Wilkes Barre faces heroin scourge turning it into “the most unhappy place in America.” NBC News. January 9, 2017. 2 Florence CS, Zhou C, Luo F, Xu L. The economic burden of prescription opioid overdose, abuse, and dependence in the United States, 2013. Med Care. 2016;54(10):901-906. 3 Express Scripts drug trend reports: 2015 and 2006. 4 Johnston SS, Alexander AH, Masters ET, et al. Costs and work loss burden of diagnosed opioid abuse among employees on workers compensation or short-term disability. J Occup Environ Med. 2016;58(11):1087-1097. 5 Luthra S. Getting patients hooked on an opioid overdose antidote, then raising the price. Kaiser Health News. January 30, 2017. 6 Hasegawa K, Espinola JA, Brown DF, Camargo CA Jr. Trends in U.S. emergency department visits for opioid overdose, 1993-2010. Pain Med. 2014;15(10):1765-1770. 7 Jones CM, McAninch JK. Emergency department visits and overdose deaths from combined use of opioids and benzodiazepines. Am J Prev Med. 2015;49(4):493-501. 8 Lawrence J. Opioid abuse fuels Capital Region thefts. Times Union. March 19, 2016. 9 Goslee K. Faces of the opioid crisis: police say increased heroin use impacts the entire community. Fox 61. November 17, 2016. 10 Canham M. Feds probe massive theft of opioids from Salt Lake City’s VA hospital. Salt Lake Tribune. March 8, 2016. 11 U.S. Centers for Disease Control and Prevention. Calculating total daily dose of opioids for safer dosage. Available at: https://www.cdc.gov/drugoverdose/pdf/calculating_total_daily_dose-a.pdf. 12 Aetna. Aetna study shows decrease in prescription drug misuse, waste and abuse through increased monitoring. March 8, 2013. 13 Prime Therapeutics. Prime Therapeutics releases studies on efforts to reduce opioid abuse, misuse. April 19, 2016. 14 Kelly LF. PBMs use new CMS opioid overutilization initiative to strengthen DUR programs. Drug Benefit News. October 11, 2013. 15 Dryden J. Doctors recommend prescribing fewer opioids after surgery. theSource. April 27, 2016. 16 Bates C, Laciak R, Southwick A, Bishoff J. Overprescription of postoperative narcotics: a look at postoperative pain medication delivery, consumption and disposal in urological practice. J Urol. 2011;185:551-555. 17 Kirschner N, Ginsburg J, Sulmasy LS, et al. Prescription drug abuse: executive summary of a policy position paper from the American College of Physicians. Ann Intern Med. 2014;160(3):198.